 On behalf of the Asbestos Disease Awareness Organization (ADAO), an independent nonprofit working to eliminate asbestos-caused diseases through education, advocacy, and community empowerment, we are pleased to share that on March 5, the U.S. Senate unanimously passed the 15th National Asbestos Awareness week resolution, designating April 1st through April 7th as a week of awareness. According to S. Res. 92. the Senate urges “the Surgeon General of the United States to warn and educate people about the public health issue of asbestos exposure, which may be hazardous to their health”. 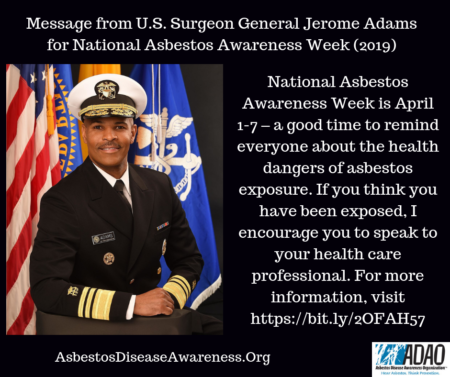 We would like to thank the Surgeon General, Honorable Vice Admiral Jerome M. Adams, M.D., M.P.H, for responding to the Senate’s request by tweeting and raising awareness about the dangers of asbestos to his 588,000 followers! Many Americans mistakenly believe that the risk of asbestos exposure and related diseases is a concern of the past. To the contrary, according to the Global Asbestos Disaster findings, asbestos-related diseases cause nearly 40,000 deaths in the United States annually—more than double the previous estimates of 15,000 per year. There is a strong global consensus about the deadly nature of asbestos, as other developed countries, such Canada, have recently enacted an asbestos ban. Although Asbestos Awareness Week, as designated by Senate Resolution 92, has passed, an updated acknowledgement is important to enlighten the public that the risks associated with asbestos exposure still exist. ADAO thanks Dr. Adams for his dedication to our country’s public health and for upholding the responsibility of the Office of the Surgeon General to advise Americans when they are at risk of harm and to protect them. We agree with his priority, that most of the nation’s pressing health problems can be prevented. While promising research continues, prevention remains the only cure for asbestos-caused disease. Join the conversation with the Surgeon General and ADAO at @Surgeon_General and @Linda_ADAO and remember to use #2019GAAW!